Flexitallic Group, global leader in the manufacture of sealing solutions, has established a new licensee agreement with Tat Lee Engineering Pte Ltd to develop its presence in the southeast Asia market. 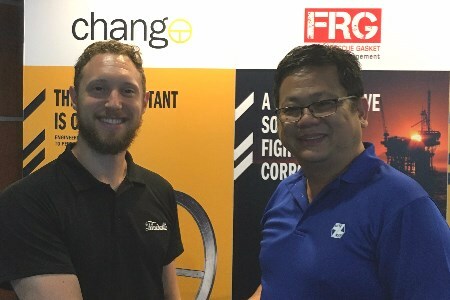 Having exported its range of gasket products to the region for more than a decade, the agreement with Tat Lee will enable Flexitallic to increase its activity in Singapore as well as building upon its recent success in the Malaysian market. With an established reputation across southeast Asia, Tat Lee will support Flexitallic’s ambitions to strengthen its position in the market. Tat Lee has supplied sealing technologies to the manufacturing, petrochemical and ship building repair sectors and to refineries and power energy plants since 1967. Flexitallic, which manufactures semi-metallic and metallic gaskets for international industry sectors including the oil and gas, power generation and petrochemical industries, has been increasing its focus on Singapore and surrounding markets during the last couple of years. Most recently it has seen successful applications of its innovative sealing solution, ChangeTM. Change is a highly resilient metal-wound gasket, designed to deliver the most dynamic seal ever and with a track record of performing 60% longer than other gaskets designed for the same application. Flexitallic’s Regional Sales Manager, Paul Welsford, has been based in Singapore since 2013 and has been developing the company’s operations and capitalising on the opportunities to share joint integrity best practice and skills with local industry. Supporting its manufacture of sealing solutions, Flexitallic operates the Academy of Joint Integrity to increase engineer competence to ensure pipeline integrity and reinforce the company’s commitment to safety and supporting the setting of industry-wide standards. Enquiries for Flexitallic’s accredited training, along with its specialist leak detection and reduction services, have increased from Singapore-based customers since the company established an in-country presence.